Come and join one of our open workshops! Expression for Growth works with businesses around the world to transform how teams work together and with customers. We create tailored training solutions that help leaders lead more effectively; support teams to work with customers more productively; and create the connections that help communication flow in organisations. We work in over 50 countries and we understand that programmes need to be adapted and delivered in a very specific way to make them work within different cultural contexts. We want to make sure that people take new behaviours they develop in training activities and integrate them into the way they work every day. We’ll work with you to create a plan that fits the way your team works and your budget. We’ll also be clear that you and your leaders have an important role to play in this. The culture we have created reflects in the training events we complete and the decisions we make. 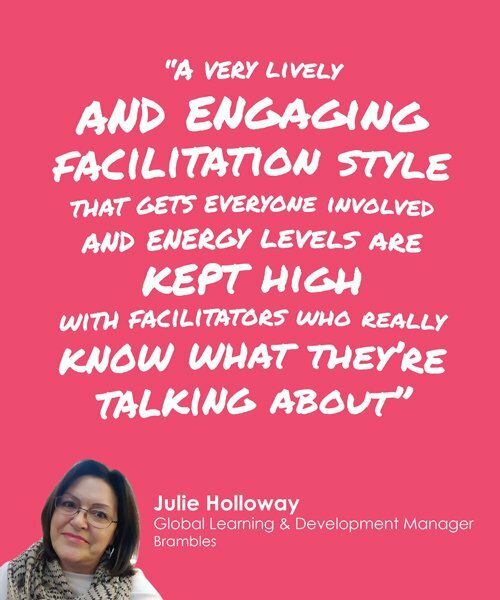 All our facilitators are seasoned business professionals with a passion for developing others within blue-chip global organisations. Their commercial experience combined with our rigorous accreditation to deliver our ‘house style’ ensures consistent mastery across every market. 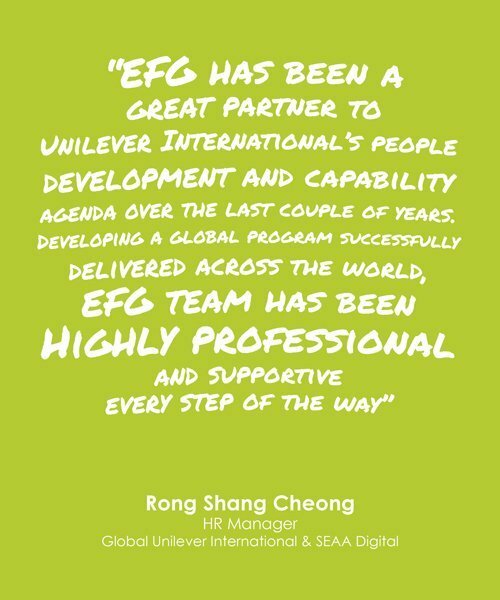 “EFG has been a great partner to Unilever International’s people development and capability agenda over the last couple of years. 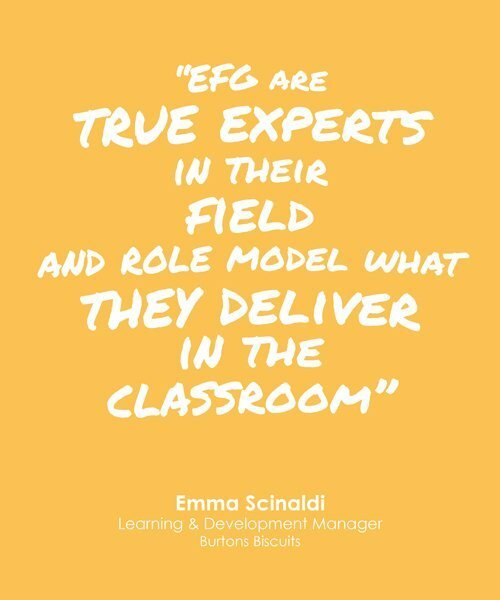 Developing a global program successfully delivered across the world, EFG team has been highly professional and supportive every step of the way." “One size does not fit all and this is recognised. There is a very open and flexible way of working and a willingness to adapt material to suit our needs as a business"
Fancy a journey with us? Top tips on how to ensure your webinar is inspiring, engaging and of value. Webcamophobia wastes time and money… it’s time to get over it!